Obstacles abound for entrepreneurs. Jessica Buffington of HelloHome anticipated some of them. Others she did not. 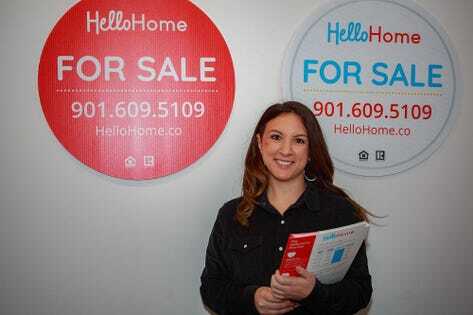 HelloHome is a platform that matches vetted real estate agents in specific geographic radiuses with sellers and buyers for a $3,500 flat fee. It now serves 17 states, primarily in the south. The home value sweet spot for the service is between $350,000 and $450,000. In 2007, Buffington chose to specialize in an industry — real estate — that was dramatically impacted by the Great Recession. The housing bubble burst at about the same time she became a residential real estate agent. Friends and family questioned this decision to enter the field. “But I felt drawn to the industry,” Buffington said. She joined a real estate agency that specializes in selling bank foreclosed homes in Memphis, TN. During the next five years, she sold millions of dollars in real estate. Buffington became a board member of the Memphis Area Association of Realtors’ Multi-Million Dollar Club and the Women’s Council of Realtors, Realtor Education Foundation, and served as President of the Young Professionals Network. When the housing market started to recover, foreclosures slowed and so did Buffington’s business. The agency she worked for needed to attract new business. During the recession, Buffington learned that clients disliked traditional commission fees. In addition, she wanted to help homeowners — who had lost so much value in their homes — retain as much profit on the sale of their home as possible. Buffington’s idea was to change the pricing model for real estate agents from a 3% commision to a flat fee. When her idea began to gain traction, colleagues in her firm pushed back. Her boss said she would have to structure her deals traditionally or leave. Buffington left. She applied and was accepted to a local accelerator program — Upstart for gender-diverse teams — at StartCo. She received a $25,000 equity investment from the program. With the help of advisors, mentors, and peers, Buffington worked on her idea for the next three months. She learned that equity investors were interested in scalable ideas that targeted a large market. The U.S. housing market certainly was big enough. In 2017, it was $31.8 trillion, according to Zillow. More than 5.5 million homes were sold that year, according to Statista. With the help of technology, she could streamline and automate processes, take some of the costs out, and scale from a local company to a national one. After she presented on Demo Day — investors, mentors and the community come together to review and celebrate the progress entrepreneurs have made on their ventures — Buffington was served with a cease-and-desist letter from the Tennessee Real Estate Commission. “This was America. No one could tell me what to charge for my services,” she thought. With no money for a lawyer, she decided to represent herself. Fortunately, the case was dropped. She felt vindicated. Not only did she have the right to charge what she wanted but she had additional validation: A couple of local angels invested $25,000. In the beginning, male investors were patronizing. ”They looked at me as if I was their wife or daughter,” said Buffington. “But, once we were able to show numbers, we were taken seriously.” The company broke even, hired people, received $100,000 investment and expanded into eight cities. It wasn’t just homeowners that liked HelloHome. Agents liked it, too, because it brought business that they wouldn’t have usually gotten. While it’s true that the line to success is never straight, Buffington anticipated most of the twists. However, she was blindsided when the race of agents became an issue. Many of HelloHome’s agents are people of color. “We’re a very diverse company,” said Buffington. It’s a very important company value. However, some home sellers asked to be rematched. As a startup, every commission counts but so do values. “That’s not an animal we wanted to feed,” she said. “So we turned the business down.” Even though the company is undercapitalized, Buffington is putting values over money. The experience makes her better prepared to handle future hurdles and reinforces the culture of HelloHome. “People don’t buy what you do, they buy why you do it,” says Simon Sinek, an ethnographer, author of Start With Why: How Great Leaders Inspire Everyone to Take Action and a speaker. Your story and your passion make you stand out in a crowd and help you connect with like-minded people, the kind of people you want working for you and purchasing from you. A great purpose connects at an emotional level with employees, agents, home buyers, and sellers. It galvanizes people. Moreover, it will help HelloHome navigate that twisting road to success. How will your company culture help overcome unexpected roadblocks as you scale?